Nothing will cause me to become skeptical quite like taking a long silent beloved childhood memory and giving filmmakers a gargantuan budget to revive it. It’s the trend though, so what are you going to do, right? Primarily it’s fairly easy to ignore these Frankenstein’s monsters, particularly when it’s something like Peabody and Sherman. These two characters were regulars on The Rocky and Bullwinkle Show. Rocky and Bullwinkle was the example of low budget cartoons. They were given a chance at a big screen adaptation a while back. It was terrible. This is actually the third feature film to stem from that little show, come to think of it, with Dudley Do-Right being the other. Dreamworks has been a power-house for decent animated movies lately, so I went to the local library and borrowed a copy. It was a very good family film. And I don’t use “family film” in the sense that it was cranked out solely to babysit children placed in front of a screen. 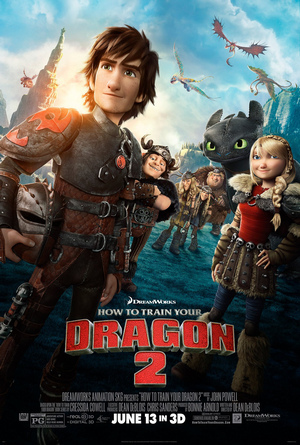 The jokes and visuals are juvenile enough to captivate a young audience, while the plot and even more jokes will certainly keep everyone else engaged. The movie takes head on subjects such as adoption, fitting in and bullying in a way that is funny, it’s essentially the perfect segue to discuss these topics. 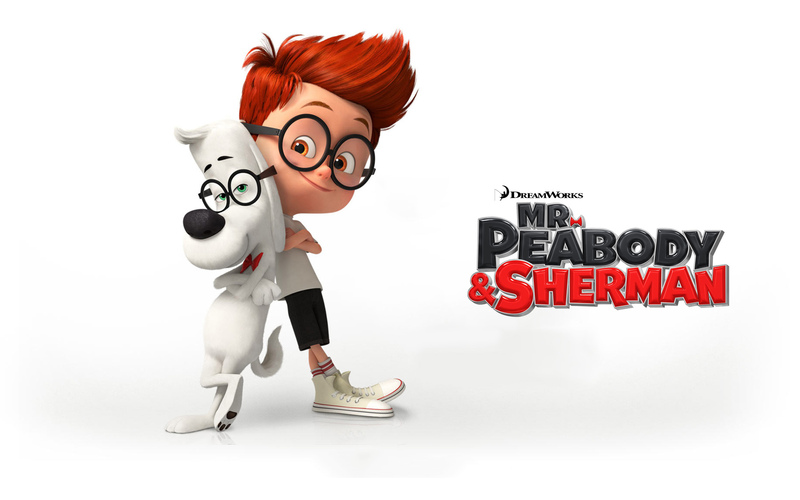 Mr. Peabody and Sherman follows the life of Mr. Peabody, a brilliant dog that never fit into his societal mold. This is primarily because he can talk and is essentially the smartest creature on the face of the planet. He adopts a baby named Sherman, which he raises and takes on adventures through time with his “wayback” device. The conflict of the movie happens when Sherman ends up biting someone on his first day of school, calling into question Peabody’s ability to raise a human child. In an effort to smooth things over, the Bully’s parents are invited over for dinner. Naturally the two children end up using the time machine and end up on an adventure through time. While more or less a typical animated feature, the movie manages to shine at particular points. For one thing it’s nice to have Danny Elfman providing the score. the music adds the level of whimsy that the movie deserves. The writing is also pretty entertaining. If Mr. Peabody is trying to prove he’s a good dad, he certainly does so simply by the amount of puns he uses. Seriously, it’s ridiculous. 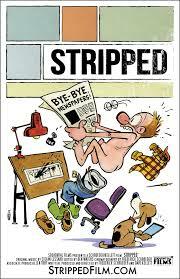 The writing is sharp and witty to the point where it is both easy to understand and not compromising the intelligence of the audience. Ty Burell manages to give surprisingly accurate life to the spirit of the Peabody character. But it’s Max Charles who voices Sherman that really blew me away. The timing and tone was dead on, a truly perfect voice for the character. This movie wasn’t anything spectacular, to be certain. However it was a good movie, and sometimes that’s what you need. Not every animated movie is going to be Spirited Away or Toy Story, but that’s fine. This was a movie that did just about the best that it could, and it was just what a Peabody and Sherman movie should have been; short, sweet and pretty darn funny. So, I tried something new in 2014. I kept a record of every movie I watched (in it’s entirety) this year. Since so many people are doing their favorite movies of the year posts, I thought I would just throw out this batch and call it a day! I have watched 105 movies this year, some of them repeated. The list is organized in the order that I watched them. There are two vitally important attributes that great artists in any form must have. First is an imagination, the tool to picture the art and all that it encompasses. The second is the ability and talent to tangibly produce it through a medium, be it words or watercolors. Beatrix Potter certainly had both of these, and more. The Victorian era children’s author, conservationist and biologist is most well known for the beautifully illustrated set of stories starring animals. Peter Rabbit, Peter Cottontail, Samuel Whiskers and Jemima Puddleduck are just a handful of the characters that she brought life to not only with words on a page but beautiful pictures that drove the imagination of the reader. Miss Potter takes on the difficult task of summing up the life and major events surrounding Beatrix Potter by showcasing her loves, losses and triumphs. 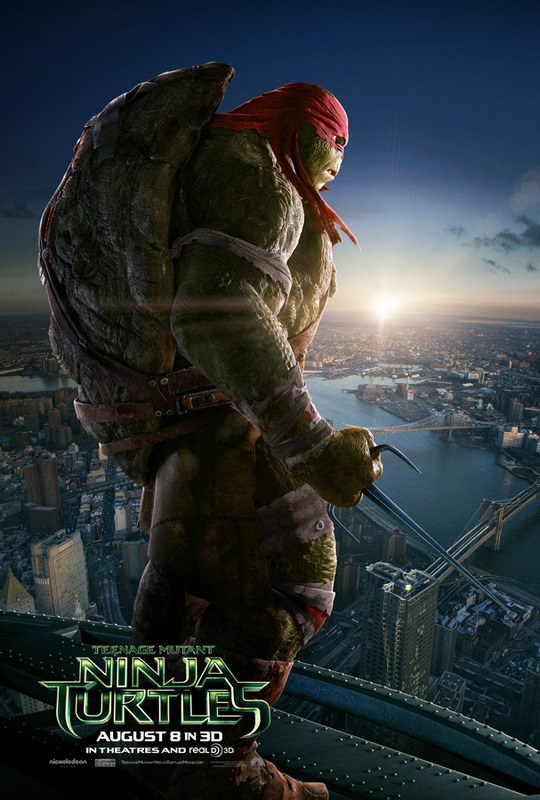 The primary focus of the film is set squarely on the imagination of its titular character. From the get-go we watch as a young Beatrix interacts with her drawings as though they were her friends. We listen as she creates stories out of nothing to tell to her younger brother before bed. What is not anticipated by her mother or father is that this desire to paint and create stories should become anything more than a hobby. However, Beatrix persists and manages to convince a publishing house to print the story of Peter Rabbit. The owners of the publishing house give the book to their youngest brother, Norman Warne (Ewan McGregor) to guide through the publishing process. They fully expect the book to fail, but had promised to allow him to help. As Beatrix and Norman take on what becomes a wildly successful franchise of books, the two fall in love and must navigate the difficulties associated with a stringent class system. While the last bit of the movie focuses on Beatrix’ natural conservation efforts, it never strays from the heart of what made Potter so well known, and that was her incredible imagination and ability to breath life into it. Beatrix Potter is an absolutely fascinating individual. Just reading through the wikipedia page on her is entertaining and points out that, while ambitious, this movie didn’t give her story the justice it deserved. Now you can’t expect an entire autobiography out of a 92 minute movie, and I wouldn’t want something from this light and almost whimsical telling of her life. What I would have liked, however, was for her not to be made out to be absolutely insane. She treated her drawings and paintings as her friends in the film, something she didn’t do in real life. Fine, artistic license. The truly jarring bit was when she would argue with and talk to her drawings in front of people. 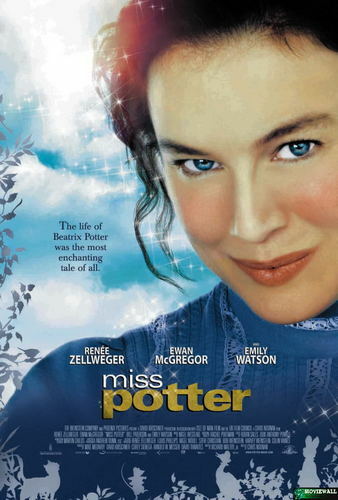 Renee Zellweger did a fine job portraying Potter, despite being 20 years older than the character, but when given a script that has you arguing with inanimate paper while others are around does little to cause me to sympathise with her situation. The movie, without that would have been a better film. The characters were portrayed in a believable way and were, for the most part likeable. Ewan McGregor in particular did a fantastic job as Mr. Warne. The soundtrack was appropriate and the nostalgia for those familiar with Beatrix Potter is a major draw. The movie could have been better with some simple omissions. The above mentioned weirdness of having your main character argue with drawings was the biggest problem. Other minor offenses were few and far between, but there was a tendency to bring up oppressive social themes of the time and kind of just drop them. Again, I wasn’t expecting a ton from a 92 minute movie, but some follow through would have been nice. For all it’s flaws, it was enjoyable. This movie saw very little time in theaters (if any) and I stumbled across it on Amazon Prime and gave it a shot. I was glad to have done so. As a family film it’s well rounded and will potentially introduce the uninitiated to one of the greatest children’s authors of all time. “It’s hard not to be romantic about baseball.” this one line stuck with me after watching 2011s Moneyball. It stuck because it was wrapped in a universal truth. 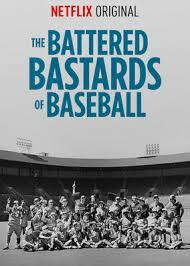 Baseball has been responsible for a good number of emotionally charged films. Sports movies in general are easy targets for that feel good camaraderie loving demographic that contains the vast majority of people in America. While I personally don’t follow any sports teams actively, I completely get why it’s such a universal phenomenon. Especially with an underdog story where the team in question ends up coming out on top. The Battered Bastards of Baseball is a documentary with as much heart as Miracle, Moneyball and Angels in the Outfield combined, offering a look into a lesser known chapter of sports history. The Netflix Original documentary tells, from beginning to end, the unusual tale of the Portland Mavericks. The foul mouthed, irreverent minor league ball team was thrown together by former ball player and hollywood veteran Bing Russell. The film is primarily about the Mavericks, but uses Bing as a constant focal point. Starting with his love for baseball at a young age all the way to his running of the Maverick’s franchise. Bing Russell used the Mavericks to bring privately owned clubs back to baseball. Whereas most minor league teams were simply farms for the major leagues, Bing wanted the Mavericks to be the best they could be offering a chance for both players and fans to experience a minor league game that went to it’s full potential. What that meant was offering open tryouts to anyone that showed up; essentially the rejects of the baseball world. The documentary highlights the short career of the team. It seeks to showcase the heart of the team by interviewing players, fans and sports writers. Through this process we glean a good picture of what made them an anomaly in the sports world. They weren’t just the underdogs, they were rebels, they fought against the norm and were both rewarded and punished for it. The film is short and energetic, it uses the power of nostalgia to fuel the interviews and thought process of each participant. Bing’s son, Kurt Russell, (Wyatt Earp himself) who played for the Mavericks, knew Bing as a father as well as the owner offers an inside look into what home life was like and what drove the man behind the Mav’s. The film utilizes an electrifyingly charged score that’s as simple as it is effective. The runtime is relatively short, at under 90 minutes, but it’s enough. The story is small and personal, so much so that it probably couldn’t have sustained a longer screen time. It’s an interesting look into the business of baseball and what happens when the stars align enough to create something truly unique.